Download "Fourier Analysis. Nikki Truss. Abstract:"
2 and These are known as the Euler formulae for the Fourier coefficients, and the coefficients give an idea of how much of any particular frequency is present in a function s Fourier series. The first formula given above is known as the simple Fourier series, which can then be extended to the complex Fourier series with complex coefficients. From this, we get the notion of the Fourier transform, which is a mathematical operation which decomposes a function into its constituent frequencies, which are analogous to the Fourier coefficients as before. The complex Fourier transform is given by the formula Where is the Fourier transform of our function, f is frequency, and t is time. Fourier analysis can therefore be used to determine the amount of any given frequency in a function, and given a signal, it can be used to create a frequency spectrum of this signal. In this and other experiments, a discrete Fourier transform is used, which obtains the Fourier transform of a function by sampling discrete data, ie. approximating a continuous function by collecting data at certain intervals. In this experiment the software Cassy lab is used, and the Fast Fourier Transform algorithm is used to make the process more rapid. Experimental Method: Part 1: Part 2: Part 3: Part 4: The correct parameters and settings were applied using the Cassy lab program. The graphs of the function and the Fourier transform of a sine wave were obtained and saved. The graphs of the function and the Fourier transform of the function given in the objective sheet were obtained and saved. The function was identified. The oscillator was connected to a speaker, and the microphone to the input device. 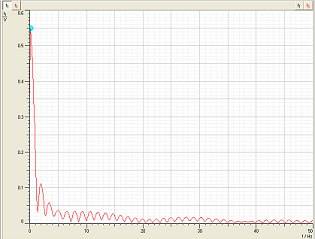 A square wave was generated in the air and its graphs recorded. The upper and lower thresholds of hearing were measured. A beat frequency was measured using tuning forks. Different voices were compared and their fundamental frequencies found. Also the spectrum of different vowels was examined. 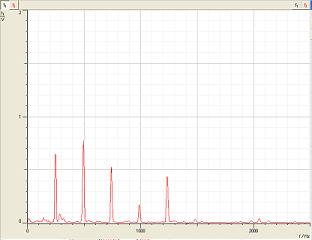 A sine wave was generated and by increasing the frequency the Fourier transform was observed moving across the screen. 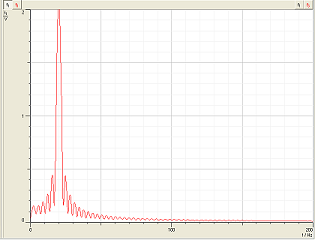 A single isolated rectangular pulse was created and its spectrum recorded. 3 Part 5: The frequencies at which the first three minima appeared were recorded, along with the amplitudes at f=0 and the next two maxima. A square pulse was created. The positions of the first three minima and the amplitudes of the first three maxima were recorded. 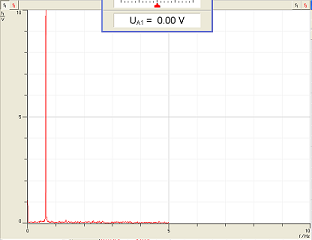 A sine pulse was then created and the spectra recorded. Results and Analysis: Part 1: By Euler s Theorem, a sine wave can be represented as We then have the Fourier transform of this sine wave: Where is the Dirac Delta function. Since a sine wave consists of only one frequency we have and the Fourier transform has a peak at only, which we can see from the graph below. We are then given the function Fig. 1(a) Fourier transform of a sine wave. Where. This defines a square wave. We need to show that only odd harmonics are present, and to do this we use the fact that our function is odd, ie.. Let us examine the coefficients of our function. 6 Part 3: As the frequency of the input sine wave was increased, the Fourier transform moved to the right across the screen. However, once the frequency had reached a threshold such that the wave became aliased, ie the program attempted to reconstruct the signal under the alias of another signal, assuming it has a frequency less than. Once this occurred the Fourier transform appeared on the left and began to move to the right across the screen once again. Part 4: A single rectangular pulse is given by the formula Since f(x) is an even function, the sine coefficients are zero, so we use the Fourier cosine transformation given by We know that f(x) is zero when x L/2, so these minima must occur when, so, ie. This means that the minima must occur at frequencies which are integer multiples of the frequency of the first minimum. We measured the first three minima to occur at the frequencies,, and which agree very well with the theory. Using the approximation as θ approaches zero, we can make the approximation Since the maxima occur at, we get and where n is odd. 8 We expect the Fourier transform to be simply a peak at the frequency of the pulse, similar to the continuous sine wave we had before, as we can see below. Discussions and Conclusions: Fig 5. Fourier transform of a sine wave pulse o The Fourier transforms of many waves were investigated, recorded and explained, including those of sine waves and square waves. o The Fourier transforms of wave pulses were investigated, recorded and explained, including rectangular pulses, square pulses, and sine pulses. o The lower threshold of human hearing was found to be 108Hz ± 1Hz, and the upper threshold of hearing was found to be 18,450 Hz ± 50Hz. o The fundamental frequency of a male voice was found to be, and the fundamental frequency of a female voice was found to be o The beat frequency of two tuning forks was found to be approximately 20Hz, which agrees with the theoretical value of, where, and. o Overall a working knowledge of Fourier transforms was gained, and the experiment was regarded as highly successful as the experimental data verified the theory throughout. o Unfortunately once the experiment was completed, it was discovered that some of the graphs of functions and Fourier transforms had saved incorrectly, by which time it was too late to attempt to re-do them. Pulsed Fourier Transform NMR The rotating frame of reference. 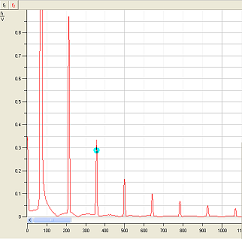 The NMR Experiment. The Rotating Frame of Reference. FAST FOURIER TRANSFORM ANALYSIS OF OBOES, OBOE REEDS AND OBOISTS: WHAT MATTERS MOST TO TIMBRE? FAST FOURIER TRANSFORM ANALYSIS OF OBOES, OBOE REEDS AND OBOISTS: WHAT MATTERS MOST TO TIMBRE? By: Kendall Milar Acknowledgements I would like to thank Shubha Tewari for her amazing guidance this semester. Sampling Theory For Digital Audio By Dan Lavry, Lavry Engineering, Inc. In this lesson you will learn to find zeros of polynomial functions that are not factorable. Trigonometric Integrals In this section we use trigonometric identities to integrate certain combinations of trigonometric functions. We start with powers of sine and cosine. EXAMPLE Evaluate cos 3 x dx.